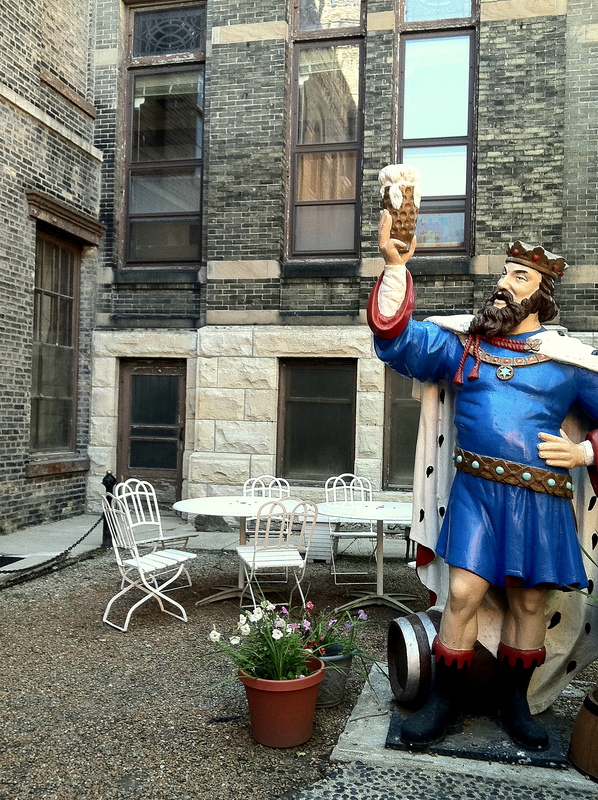 On Sunday afternoon, I redeemed one of my many Groupons that need redeeming by going on a tour of the historic Pabst Brewery. 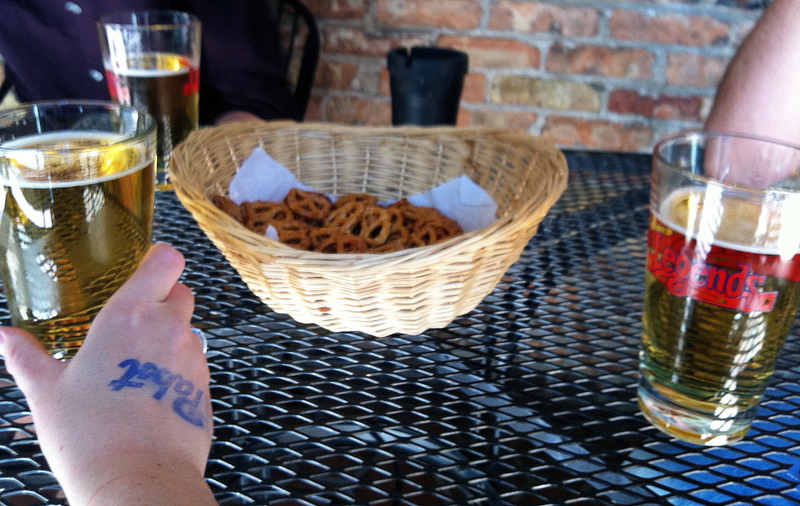 Very old Milwaukee – no pun intended. My brothers came along with me, and we were all a little uncertain of what exactly this tour was going to be when we parallel parked along one of the 7 blocks of empty lots and looked up at the abandoned buildings that once made up the brewery. If I’d been past these buildings before, I certainly don’t remember. And how could I have missed these great buildings? They’re weather-worn with boarded up windows, but the architecture is gorgeous with turrets, courtyards and intricate brickwork. 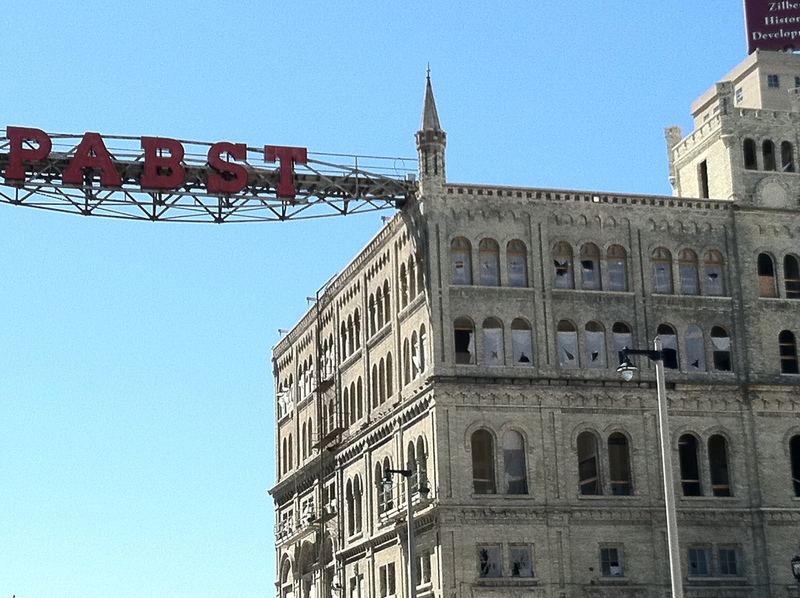 A giant Pabst sign spans between 2 of the buildings, marking the spot’s former grandeur. Sip while you wait in the tavern for current Best Place owner Jim Haertel (who gets so into the tours he seems to make it a habit of running over) greets you with a smile and a pint. The tour starts with a series of 5 Old Milwaukee beer commercials filmed by Will Ferrell for his website Live Funny or Die. Hilarious. Who wouldn’t want to see Will Ferrell screaming down from the top of the Pabst sign? Jim gives a brief history lesson of how Milwaukee fell into becoming the next beer capital of the US (when it was actually Chicago’s turn) in the wake of the Great Chicago Fire. For those of you who might not love the idea of spending the afternoon in a mini history lesson, Jim’s tales are anything but dry, covering the success, drama and infidelity of the Best, Miller and Pabst families, bringing us all back to a time when union rules included beer breaks every three hours while on the job. While this brewery is no longer operational and Pabst is now made by Miller, the tour is fascinating. Walk through Blue Ribbon Hall and Hamm’s Rathskeller in the Sky (which is now rented out for an array of social events). The block of buildings once held the bottling plant where Laverne and Shirley stuck a glove over a beer bottle in their opening theme. The courtyards are beautiful – I never knew they were there! Jim took our group out to Juneau Ave, where he told us the story of how he worked with the community to purchase the 7 blocks of remaining brewery buildings in 2001 (all unused and rundown for quite some time) in order to keep them out of the hands of a developer who wanted to flatten the entire expanse to build condos. The buildings are saved and are now labeled historical sites. 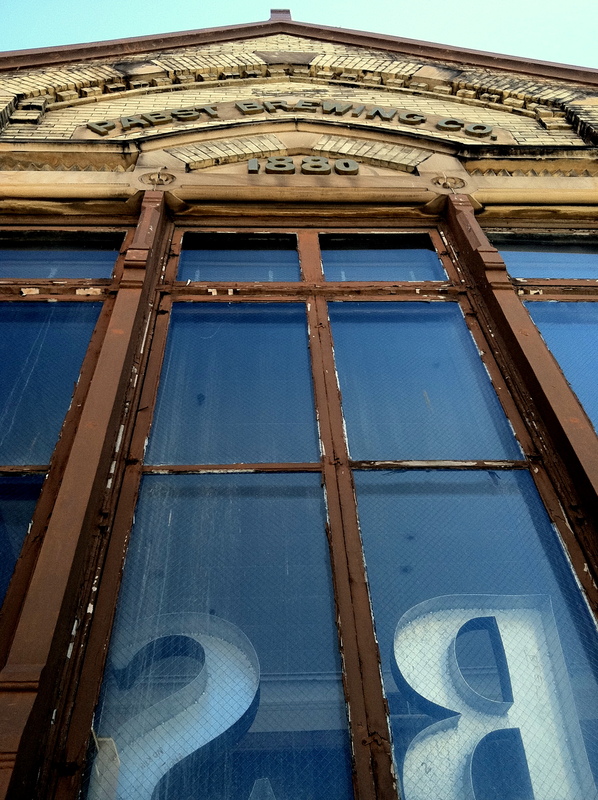 Both the current owner and the city of Milwaukee are working hard to restore the buildings and to hold on to such an important piece of the city’s history. Jim brought us through an old administrative building where volunteers are working to clean up Captain Pabst’s office along with another hall that will be eventually rented out for banquets. 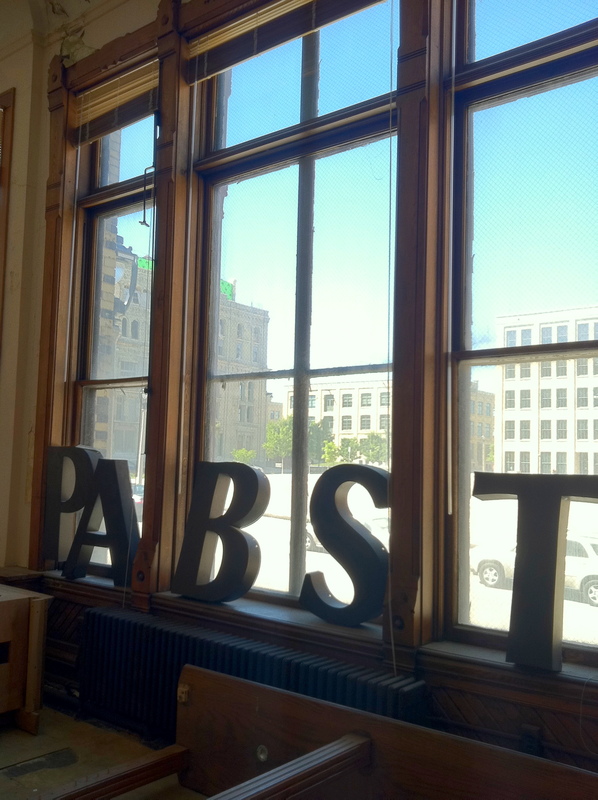 Some of the Pabst buildings have been purchased by universities, while the rest have been converted into affordable living apartment buildings and offices.